Social and Performance Anxiety Disorders cause individuals to fear certain social situations, usually to levels that affect their daily lives preventing them from carrying out ordinary tasks. For example, someone suffering from social anxiety may find attending college classes or going to a place of work too confronting and avoid these situations entirely. Someone suffering from performance anxiety may go to lengths to avoid speaking in public. 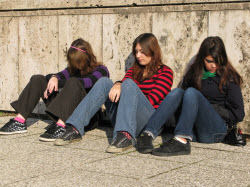 Even the thought of social situations can cause feelings of anxiety. The core fears of social anxiety, or social phobia as it is also known, are the fears of being scrutinized and judged negatively by others, even if the sufferer realizes that this fear is extreme or irrational. Many people feel shy or awkward about having to do certain things in public, or about entering certain social situations, and consequentially the line between normal levels of shyness and anxiety and actual social phobia can be blurred. The American Academy of Family Physicians offers the following diagnostic criteria for Social Phobia. A fear of one or more social or performance situations, where the individual may be exposed to unfamiliar people or situations and where they feel they will be scrutinized by others. The fear is that they will somehow embarrass themselves in this situation. Exposure to social situations results in anxiety. The sufferer may recognize their fear is excessive or unwarranted, but they remain unable to control the feelings of anxiety. Avoidance of the feared situation. Anxiety and avoidance of social situations interferes with the individual’s normal routine or day to day life. The fear or anxiety is the not result of physiological effects of a substance such as drugs, alcohol or medication, nor the symptoms of another medical disorder. Generalized social anxiety is referred to when individuals suffer anxiety and feelings of fear triggered by most social situations, or by thoughts of those situations. Others suffer from more specific phobias, such as eating at a restaurant or going to strangers. Performance Anxiety Disorder is the fear of having to perform in front of others, and being ridiculed for doing so. One of the most common fears in social phobia is fear of public speaking. Social Anxiety can feel very debilitating but there are a number of techniques that can help, depending on individual needs and requirements. Changes in lifestyle such as reducing or avoiding caffeine and alcohol intake and getting the adequate amount of sleep may help some sufferers. Therapy, such as cognitive behavioral therapy (CBT) has proven success, and is some cases medication may be required, but it should be recognized that medication is not a cure in itself; it simply helps reduce the impact of certain symptoms. 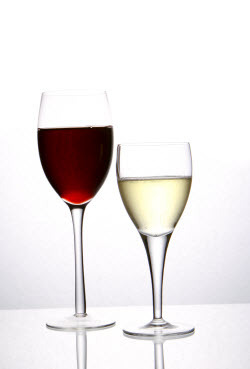 There is a strong link between Anxiety Disorders and the use and abuse of alcohol. The phrase “having a drink to calm the nerves” has been around for a long time, and sufferers of Anxiety Disorders will sometimes use alcohol in order to reduce, numb or forget the discomfort and fears that they are experiencing. Those with an Anxiety Disorder are three times more likely to develop alcohol or other substance abuse than those without. More..
© 2007 - 2010 Selfempoweringtips.com, All Rights Reserved.